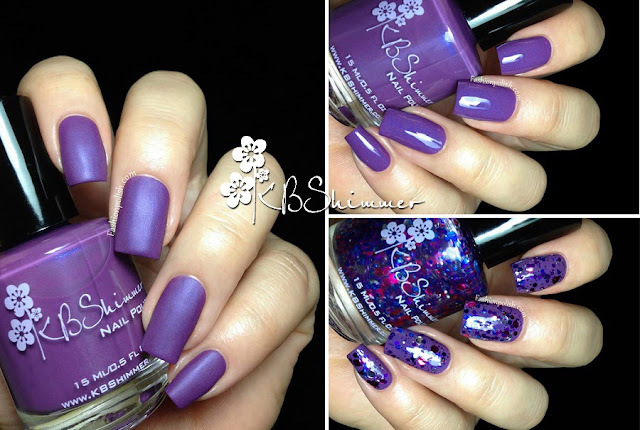 Fashion Polish: KBShimmer 5th Anniversary Duo : The Grape Beyond & Would Jubilee It? KBShimmer 5th Anniversary Duo : The Grape Beyond & Would Jubilee It? Did you know that KBShimmer just turned five on August 8th? That's pretty much unheard of in the indie world, huge really! So to celebrate these five years of growing business, KBShimmer has just released an anniversary duo! 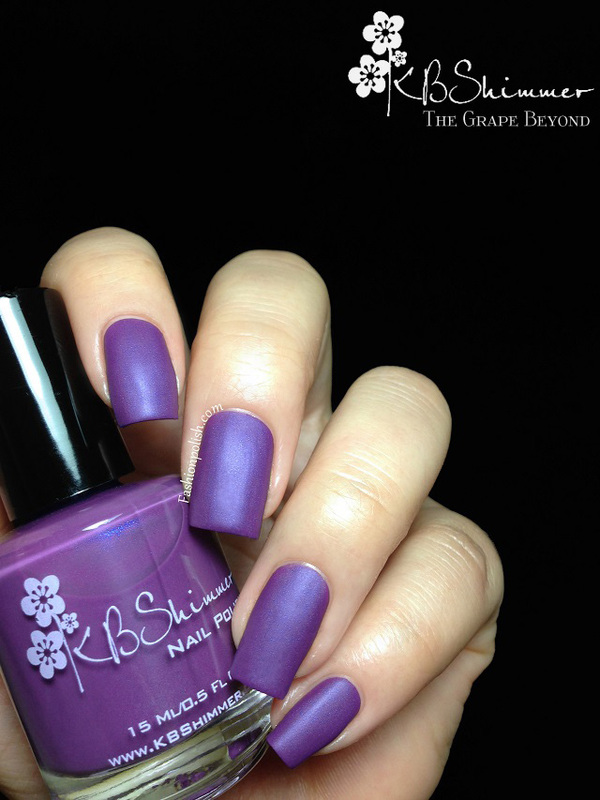 The Grape Beyond is a warm toned purple creme with a strong cool based shimmer and a matte finish. Stunning! Formula was surprisingly easy to work with for a matte, no dragging or patchiness, and offered perfect coverage in 2 coats. Swatches below without and with topcoat. Would Jubilee It? is a multicolored glitter in a clear base : mix of silver, blue, turquoise and fuchsia in different shapes and sizes (small bars, hexes, dots). I love dot glitters and obviously I had high hopes for this one. Well... I must say that it was even better than I had expected : excellent color combination and glitter payoff! This is one generous coat "dabbed" over The Grape Beyond. International customers can also purchase KBShimmer at Harlwo & Co.
For more information, please refer to KBShimmer.com and like / follow KBShimmer on Facebook or Twitter to be updated on the brand's latest news or offers. What do you think about this duo? Zoya Naturel Deux (2) Swatches and Review!